Hilltop products are proud of their highly innovative team and their constant strive towards always finding cost efficient Cable management solutions for engineering and maintenance teams in the Automotive Industry. We work closely with these industries to improve our products and thus their services. With many of our products designed and approved for Automotive cable harness manufacture as well as the Automotive aftermarket, Auto-sport, Commercial and light vehicle repairs, service and maintenance, Hilltop are the best bet when it comes to getting quality Cable management solutions and heat shrink tubing. We stock the latest models in approved TE Connectivity Heavy Duty heat-shrink guns, including the CV1981 in both the 120 and 230 volt versions, complete with a range of nozzles and accessories, all at very competitive pricing. Until recently, Hilltop boasted the largest private label distribution of TE Connectivity (formerly known as Raychem Corp) in the UK. We are stockists of TE Defence & Auto sport approved Heat shrinkable products, such as DR-25 system tubing and mouldings, as well as other Mil spec approved identification and performance sleeving. Hilltop have over 30 years experience in the Heat Shrink Tubing industry, and are not only the leading suppliers of all Cable management solutions to the Automotive industry, but have the expertise to advise you on what you need. Friendly service and no-nonsense advice, coupled with Next Day Delivery options, Hilltop are the best option for your Heat Shrink Tubing needs all at very competitive prices. Order today and take advantage of our bulk-buy discounts. Hilltop Products provide HSP1 heat shrink tubing, wide variety of commercial heat shrink tubing available including HSP1 tubing, commercial heat shrink tubing specialists. Hilltop Products Ltd supply a wide selection of printed Cable & Wire marker solutions for a vast range of applications, buy online for next day delivery! DR-25 is made from a radiation crosslinked elastomeric material specially formulated for optimum high temperature fluid resistance and long term heat resistance. Hilltop Products provide Cable Ties Nylon, we are suppliers in New Cable Ties Nylon and Cheap Cable Ties Nylon. For a price guarantee on Cable Ties Nylon visit Hilltop Products. Hilltop Products Ltd manufacture heat shrink products including Adhesive Lined 3 to 1 Ratio Heat Shrink Tubing, buy online for next day delivery! Hilltop Products Ltd manufacture heat shrink products including Adhesive Lined 4 to 1 Ratio Heat Shrink Tubing, buy online for next day delivery! 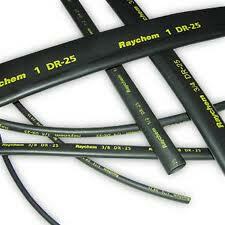 Heat shrinkable, chemical resistant high temperature tubing. Suitable as a protection for wiring in missiles, aircraft & throughout chemical plants. Hilltop Products Ltd supply heat shrink tubing at great prices including our range of heat shrink tubing for heavy walls, buy online for next day delivery! Hilltop's Expandable Braided Sleeving Colours provides mechanical protection and abrasion resistance for hydraulic hoses, tubing and wiring harnesses. 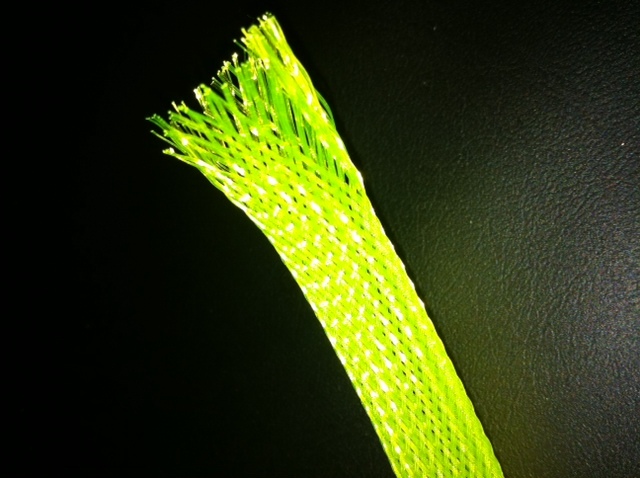 Hilltop Products Reflective Expandable Braid is ideal for use for health and safety due to the visibility of the sleeve. Has high resistant to abrasion and the damaging effects of corrosive elements. Hilltop Products Flame Retardant Expandable Braid will exhibit self-extinguishing characteristics and will operate at temperatures within the range -70°C to +150°C. Hilltop Products Heat Reflective Sleevings are supplied in various forms from tubing to tapes that provides both primary and secondary insulation in various cable applications. Hilltop Products Ltd manufacture heat shrink products including PVC Heat Shrink Tubing, buy online for next day delivery! Hilltop Products PTFE Spiral Biniding (often referred to as Spiral Wrap), is a versatile cable harnessing product originally developed for the aerospace industry. Hilltop Products Silicone Rubber is extruded from a high strength silicone rubber compound with bore sizes from 0.2mm ID up to 200mm, meets the demands of practically any application. Hilltop Products Ltd manufacture heat shrink products including PTFE Heat Shrink is highly flame retardant tubing, buy online for next day delivery! Hilltop Products Ltd manufacture heat shrink products including a wide selection of 3 to 1 ratio heat shrink tubing, buy online for next day delivery!